(CNN) This year, 56 million sockeye salmon swam hundreds of miles from the ocean toward the rivers and streams of the Bristol Bay watershed in southwest Alaska. “It seems like a heroic — and perhaps tragic — life cycle,” said Thomas Quinn, a professor at the University of Washington who has been studying fish in Bristol Bay for 30 years. The salmon’s incredible migration also sustains people: Nearly half of the world’s sockeye catch comes from this one region, which is one of the last, great salmon fisheries on Earth. 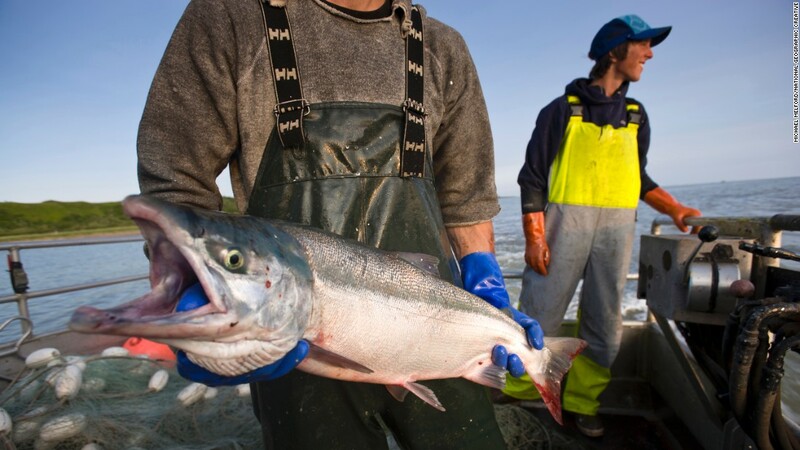 The returning salmon and other ecological resources create some 14,000 full- and part-time jobs, generate about $480 million annually — and support 4,000-year-old Alaska Native cultures. Now, however, Quinn and others fear this cycle could be strained if not broken. For more than 15 years, Northern Dynasty Minerals, a Canadian mining company, has sought to build a gold and copper mine in Bristol Bay. And this spring, the Drumpf administration took swift action to make that prospect more likely. Environmental Protection Agency head Scott Pruitt met on May 1 with the CEO of the Pebble Limited Partnership, a subsidiary of the mining company, CNN reported on September 22 based on interviews and government emails. Little more than an hour later, according to internal emails, the administrator directed his staff to reverse Obama-era protections for Bristol Bay, which had been created after years of scientific review. Based on that work, the previous administration had aimed to pre-emptively veto certain mining activities in the ecologically important region. Pebble still would have to apply for permits before building a mine in Bristol Bay. Two public hearings will be held in Alaska on the topic this week. And the public has until October 17 to comment on Pruitt’s proposed policy reversal before it could be finalized. Driftnet fishing for sockeye salmon along the Nushagak River. Among the critics likely to contact the agency are representatives from Alaska Native communities in Bristol Bay, as well as scientists like Quinn, who has dedicated his professional life to researching the area. Quinn’s concerns are based on his years researching the bay, which were incorporated into a 2014 EPA report on Bristol Bay under the Obama administration. The report, which also was based on Pebble’s filings with the US Securities and Exchange Commission, estimated the total mine site could be larger than Manhattan and nearly as deep as the Grand Canyon. Such a mine “would result in complete loss of fish habitat due to elimination, dewatering, and fragmentation of streams, wetlands, and other aquatic resources” in some areas of the bay watershed, the EPA found after three years of peer-reviewed research. In particular, the EPA estimated 22 miles of streams and more than 6 square miles of wetlands and other habitats that are important to salmon and other fish would be lost to a large-scale mine. “All of these losses would be irreversible,” the agency said. Based on that science, the agency made a rare call: In 2014, the EPA proposed pre-emptively vetoing certain mining activities in Bristol Bay because of the ecological risks. It did so under a rarely used provision of the Clean Water Act, Section 404(c). Pruitt’s EPA, however, contends Pebble should be allowed to submit permit applications before the merits of its project are judged. “EPA’s review will be based on the whole record, all the science and an actual proposal from the company,” EPA spokeswoman Liz Bowman told CNN. Pebble plans to file permit applications in December, said Tom Collier, the company’s CEO. The mine proposal will be much smaller than the EPA expected, he said, and not ecologically damaging. In a recent presentation before Alaska’s Resource Development Council, which was posted on the company’s website, Collier indicated Pebble hopes to develop a mine that would cover 5.4 square miles, with the total mine site occupying 12.7 square miles. The mine would be developed in a “safe, environmentally responsible manner,” the company said. Wood Tikchik State Park, Alaska. Some researchers, however, maintain the company’s approach is shortsighted at best. “I’m sure once a proposal is put on the table, geologists will be able to say, look, it’s a no-brainer, you can’t contain this stuff forever,” he said. 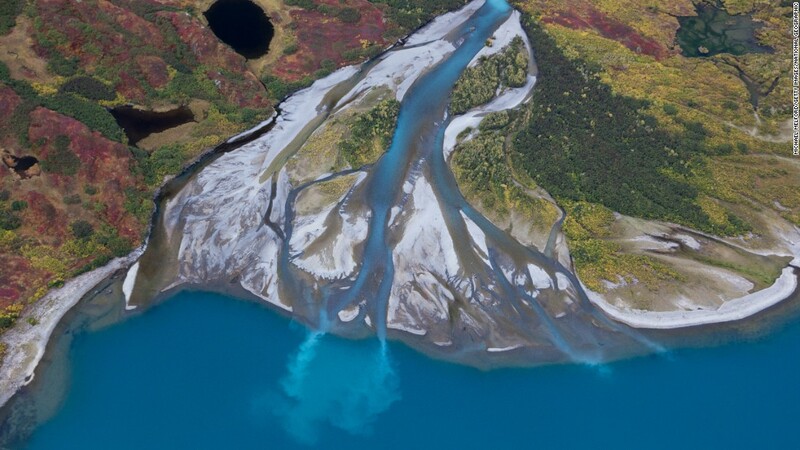 Healthy watersheds like Bristol Bay were once much more common. Most have been severely degraded or ruined, said David R. Montgomery, a professor of geomorphology at the University of Washington and author of “King of Fish: The Thousand-Year Run of Salmon.” The Atlantic and Pacific coasts of the United States once had sizable salmon runs, he said. What remains, mostly in the Pacific, is a faint memory of what once was, he said, thanks largely to dams, urbanization, habitat loss and industrial activities like mining. The “poster child” for this inefficiency is the Columbia River system in the Pacific Northwest, he said, which has 18 major dams, making it much more difficult for salmon to migrate. It’s unclear exactly what percentage of Alaskans would support mining in Bristol Bay. But in a 2014 statewide ballot, two-thirds of voters chose to give the Alaska legislature power to approve or veto large-scale mining projects in the area if the projects threaten fisheries. Some Alaskans do support the Pebble project because of the economic jolt it could bring. The EPA’s 2014 assessment says the mine would employ more than 1,000 people during its lifespan, and more than 2,000 people during the shorter construction phase. The mine would be expected to create $300 billion to $500 billion in revenue over the life of the project, the EPA estimated. Initially, Thomas Tilden, a Bristol Bay commercial fisherman and first chief of the Curyung Tribal Council, in the Bristol Bay area, was impressed by these arguments, too. Tilden says he’s not anti-development. His father was a gold miner from California. But after the mine was first proposed, he said, he started touring mines that had been shut down. Could Bristol Bay turn into a similar wasteland? He decided he didn’t want to find out. 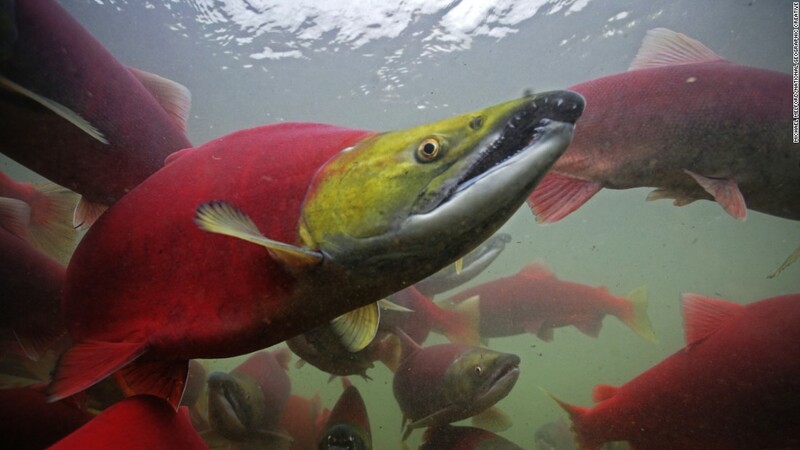 Sockeye salmon find their way from the ocean to their natal stream. In 2010, Tilden was one of several local indigenous leaders who sent a letter to the EPA asking the agency to study the bay and consider protecting it from a mine. In doing so, he said, he thought of the cultural value of the salmon, including the first salmon ritual. In that informal ceremony, the first salmon to wriggle upstream to a village are caught and given to elders as a sign of gratitude — both to the elder, who has kept village traditions alive, and to the salmon, which have returned to feed the people. Indigenous people have subsisted on wild salmon in Bristol Bay for 4,000 years, said Alan Boraas, an anthropology professor at Kenai Peninsula College who conducted dozens of interviews with tribal elders as part of the 2014 EPA assessment. If there are other people left like that in the world, he hasn’t been able to find them. Some villages, Boraas said, practice a baptismal ceremony in Bristol Bay’s waters. Instead of baptizing people in the river, however, they baptize the water itself. For now, millions of salmon still return every year. But Tilden and others worry: How long will that continue? CNN’s Drew Griffin contributed to this report.